Few people today get the opportunity to visit the many places they read about in the Bible. "Raise your eyes please, and look from the place where you are, northward and southward and eastward and westward, because all the land at which you are looking to, you and your seed I am going to give it until time indefinite. Get up and go about in the land through its length and through its breadth, because to you I am going to give it". (Ge 13:14-17). Still, true Christians are keen to know about Bible locations and to see how they relate, one to the other. "Exploring the Bible Lands " is a new DVD ROM presentation featuring the history , geography and importance of the Israel / Palestine region. The tour takes us on a journey covering an exhaustive number of major sites and locations featured in the Bible record . Over 145 minutes of highly informative video presentations in MPEG 2 format (computer use only) including the excellent "Israel from the Air". 3 presentations highlighting the benefits and value of having a good understanding of the lands and places of the Bible record. 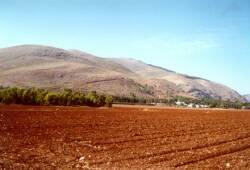 Over 50 full color images (jpeg) highlighting the inspirational beauty of the Bible lands. "Exploring the Bible Lands" is an excellent tool to assist your Bible research. You will find the information most informative and interesting, improving your understanding and appreciation of the geographic regions and places mentioned in scripture. The Plain of Gennesaret spreads out below the Arbel cliffs. 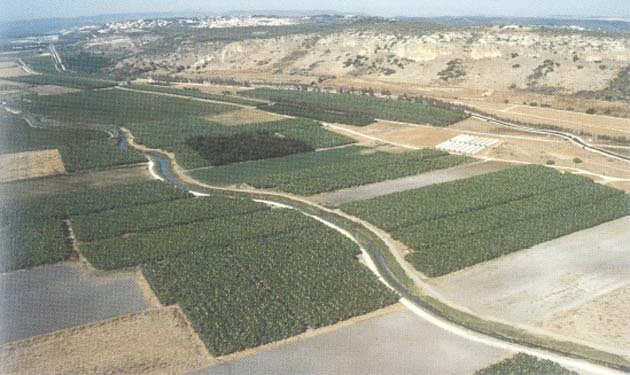 About five miles long and two miles wide, this stretch of land alongside the Sea of Galilee's northwest shore was renowned for its fertility. Josephus wrote that it was "wonderful in its characteristics and in its beauty. Thanks to the rich soil there is not a plant that does not flourish there, and the inhabitants grow everything: the air is so temperate that it suits the most diverse species." 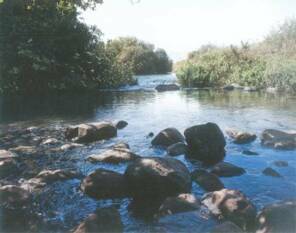 The Sea of Galilee is fed by the Jordan River, rainfall and springs on the northern side. 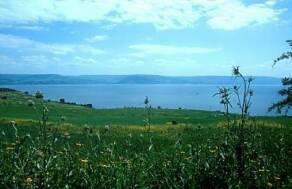 More properly designated a lake, the Kinneret (the OT and modern name) is 13 miles long and 7 miles wide. At its deepest point the lake is only 150 feet deep. The rabbis said of it, "Although God has created seven seas, yet He has chosen this one as His special delight." 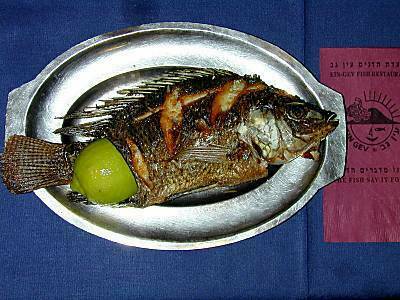 Peters Fish : Three types of fish were primarily sought by fishermen in antiquity in these waters. Sardines likely were the "two small fish" that the boy brought to the feeding of the 5000. Sardines and bread were the staple product of the locals. Barbels are so known because of the barbs at the corners of their mouths. The third type is called musht but is more popularly known today as "Peter's Fish." This fish has a long dorsal fin which looks like a comb and can be up to 1.5 feet long and 3.3 lbs in weight. 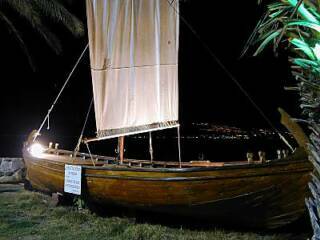 In 1986 a wooden vessel from the first century was discovered near Nof Ginosar on the lake's northwestern shore. Studies have determined the type of wood that was used (mainly cedar and oak), the style of construction (mortise and tenon joints), the date (on the basis of construction techniques, pottery and Carbon 14 tests) and the size (26 by 7 feet - big enough for 15 men). Pictured at right is a reconstruction of what the ancient boat might have looked like. This was formerly on display at Kibbutz En Gev. Because of its lack of water and good routes, the Judean wilderness has been (mostly) uninhabited throughout history. Consequently it was an ideal place for those seeking refuge from enemies or retreat from the world. When on the run from King Saul, David hid in various places in the Judean wilderness (the Wilderness(es) of Ziph, Maon, and En Gedi are part of the Judean Wilderness). 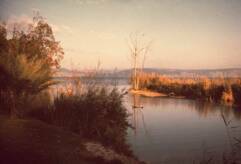 John the Baptist preached here, and it seems likely that this was the wilderness where Jesus was tempted. 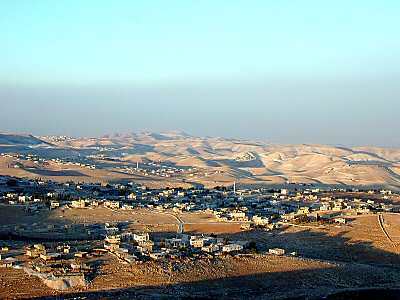 Herod the Great built two fortresses (Herodium and Masada) in this area for protection should his people ever revolt against him.